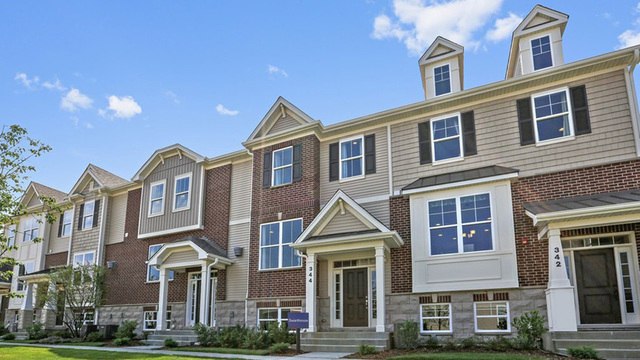 *Brand New 3 Bedroom, 2.5 bath Townhome! Quick, easy access to downtown Chicago, O&apos;Hare, and major expressways. Just minutes from Metra station and downtown Des Plaines, this townhome is LOADED with highly sought after features including granite kitchen countertops, hardwood flooring throughout the main floor, beautiful painted cabinetry, stainless steel appliances, fireplace, and coffer ceiling in the master suite. Please note that photos shown are of model home and not actual home. Special Financing Promotion Available For a Limited Time! This home is currently under construction with an estimated May 2019 completion.